Managing your work doesn't work for a simple reason: Work is infinite. Good work only creates more work; in fact, bad work creates more work too. So the more you work the more work you will have. It's basic common sense that you can't manage an infinite commodity. What can you manage? Time. 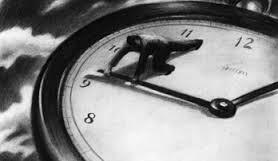 You not only can, but must, manage your time because time is all too finite. They say, "If you want to get something done, find a busy person." The busy person succeeds in getting things done because he knows how to manage his time. We all have the exact same amount of time at our disposal, 60 minutes each hour, 24 hours each day, 168 hours each week, 8,736 hours each year. If you put one hour into a project each day for a year, you'd have worked on it for 365 hours -- more than enough time to write a book, build a house, launch a new product, plan and execute a new campaign. "If you put a little upon a little," said the ancient Greek almanac writer Hesiod, "soon it becomes a lot." One memorable day in Manhattan I was delivering a broken antique wall clock to my favorite repair shop. As I completed my drop off and turned to leave, I noticed an ultra-modern stand-up clock constructed of shiny pendulums, a different metal each for hours, minutes, and seconds, all enclosed in a sleek glass case. It was simply the most beautiful timepiece I'd ever seen. Then I realized: it had no hands. At first I thought, No wonder it's in the shop. It's broken. Then I studied the clock more closely. No. It was designed that way. It was a timepiece that Salvador Dali would have been as thrilled with as I was. And it reminded me that time is a free force. It just happens, whether you do anything about it or not. It's up for grabs. It doesn't belong to your employer, or to the government, or to anyone but you! The trick is where do you find that free time? -- a question busy people are asked regularly. Here's their secret: busy people make time, for the activities they decide to prioritize. One good way to wrestle with that question is to ask yourself, "Where do I lose it?" You'd be surprised. Make a chart of your weekly hours and use it to determine how many hours you devote to each activity in your cluttered life. Maybe you'd be surprised, or maybe not, that most people have no idea where the time goes. They come up with a grand total of 182, or 199, or 82 hours of activity -- until they remember that they, like every other human, have only 168 hours each week to spend. Then we get serious and analyze exactly where they're lying to themselves about the time: forgetting about the endless phone calls with friends, or the true amount of time in front of the television, or the accurate time devoted to the daily commute, or the time doing absolutely nothing but staring out the window. When we get the time inventory accurate most people are surprised at the truth. But the truth is the first step to freedom, and managing your time effectively is the greatest freedom of all. I call it "making the clock of life your clock." I believe in this philosophy so much I haven't worn a chronograph for nearly thirty years, despite owning a vintage wrist watch that belonged to my father and an even older pocket watch that belonged to my grandfather. The only chronograph I carry around with me is one that allows me to make life's clock mine: a stopwatch. It makes the Spanish proverb, la vida es corta pero ancha ("life is short but wide") come true. You can get an app on your cell phone! The stopwatch method of time management is simple. You use it to make sure that your Priority Project is getting the amount of attention you want to give it to move it -- and your personal success -- ahead with certainty. You know that the wall clock, or the one on your wrist or displayed on your cell phone, has a way of running away with your day. You say you'll work on Priority Project from 7 to 8 a.m. and something is certain to come along to disrupt that hour almost as though life were conspiring against you. What's really happening is that you're letting life interfere with your personal time management. Of course when the interference occurs, you tell yourself "I'll catch up later," or "I'll start again tomorrow and this time protect myself from interruptions," but over the years we discover that life runs rampant over any such resolutions. The stopwatch method works best in a life jam-packed with stimuli and distraction. It allows you to "steal time." While clocks on wrists and walls record public time, your private prime time happens only when your stopwatch is running. The stopwatch allows you to call "time out" from the game everyone else is engaged in. Simply promise yourself you won't go to sleep at night until, by hook or by crook, you've clocked one hour (60 minutes) of working on Priority Project on your stopwatch. Turn the stopwatch ON when you're working on it, and OFF when you get interrupted. Your stopwatch minutes may be gleaned over a six-hour period, or over a twenty-four-hour period. You "steal" them when you can: waiting at the dentist's, community on public transportation, when an appointment hasn't shown up yet, when your cell phone dies and no one can reach you until you've replaced or recharged the battery, when your date for the evening calls in sick. It takes a few days to get used to this process, but once you do you'll recognize the power it gives you over time. Isn't it hard to work in fits and starts? You might very well ask that very good question. The answer is that it's actually easier to work that way than it is to work without stopping if you employ the time-management technique of linkage. Here's how linkage works. The phone rings, so you have to turn off your stopwatch. But you let it ring one or two more times, taking that time to make a mental decision about what you'll do when your stopwatch is running again -- that is, in your next Priority Project session. And here's a useful secret: it doesn't matter what decision you make. The minute you make it, as you answer the phone and go on from one activity to the next, your mind starts thinking of better decisions than the one you made; in fact, your mind becomes increasingly motivated to get back to that Priority Project because it knows exactly what it will do when the next session begins. You've created an automatic linkage, that makes restarting when your stopwatch is next running, no longer an occasion for blockage. Instead, you're fully ready to jump in and get as much out of that next session as possible before it's interrupted by life's next distraction. And, yes, have a desk drawer filled with stopwatches so you can employ a different colored chronograph for each major activity you're engaged with. The stopwatch method can truly make the clock of life your clock. Dr. Kenneth Atchity has been consulting on time management for decades. His 20 books include Write Time: A Guide to the Creative Process, from Vision through Revision; and How to Quit Your Day Job and Live out Your Dreams.